Every two years since 2002, the U.S. Department of Energy (USDOE) holds an architecture competition for design and engineering students. Colleges and universities from around the world team up to present viable prototypes of marketable, sustainable, affordable homes. Their charge? Design and build a livable small house that is totally run — from hot water heater and electric lights to stove and HVAC — by the solar power gathered at a 10-day event, rain or shine. Then compete against other teams to accumulate as many points as you can in ten categories. This is the U.S. Solar Decathlon. Examining the designs of past winners may shine a light on the future of residential architecture — so, what can the public learn from student ideas presented at a government-sponsored competition? What Is the U.S. Solar Decathlon? A decathlon is a competition consisting of 10 events or contents — deca means "ten." The ten contest for the 2017 Solar Decathlon are these: Architecture (e.g., carrying out a concept, designing for given space, documenting specifications), Market Potential (livability and cost-effectiveness for a specific target market), Engineering, Communications (e.g., public tours), Innovation, Water (capture, use, and reuse inside and outside), Health and Comfort (energy used to heat and cool), Appliances (energy usage), Home Life (e.g., all teams participate in real life activities such as charging an electric car and hosting a neighborhood dinner), and Energy (capturing, storing, and using electricity). Collegiate teams soon realize that the task of architecture in not only to develop an exterior style, but also to architecturally build-in sustainability features and a flexible interior space, along with honest documentation and public presentation — all real-life activities in an architectural firm. A smart car helps, too. Even with the free labor of students and faculty, entering the Decathlon is an expensive endeavor. Prototypes are made locally and then transported to the competition site — expensive if you're a school in Germany or Puerto Rico. The expense of transporting the house to the common exhibition site alone can be prohibitive. Besides planning, which takes the two years between Decathlons, a good chunk of time is spent signing up sponsors and donors to defray the cost of construction materials. Beginning in 2017, the top five winning teams each receive cash prizes of $100,000 or more, but in all of the previous years entrants were on their own. What becomes of all this work, and where do the houses go? Most of the entries are returned to their home states (or countries) and campuses. Many are used as classrooms and laboratories. Some homes are sold to private citizens. Deltec prebricated net-zero homes have modified some designs, like Appalachian State University's 2011 Homestead, and offered them for sale as prefabricated kits. The Delta T-90 House built by Norwich University for the 2013 Solar Decathlon is now on the grounds of Frank Lloyd Wright's Wescott House in Springfield, Ohio. The SURE house seen on this page was shipped back to its New Jersey home after winning the entire event in 2015. It is open to the public at the Liberty Science Center in Jersey City. For every Solar Decathlon — including Solar Decathlon Europe that began in 2007 — the public is the real winner as best practices become a commonality and new ideas are incorporated into traditional building practices. NeighborHub placed first in the 2017 U.S. Solar Decathlon. This was the first time entry for a combined team of École Polytechnique Fédérale de Lausanne, School of Engineering and Architecture Fribourg, Geneva University of Art and Design, and the University of Fribourg. Together, they are the Swiss Team. The look of these solar houses are often traditional in design, like California Craftsman bungalows with public and private wings.Many ideas seem to be inspired by architects who have already designed eco-friendly, modern residences, like the Australian icon Glenn Murcutt, the Dutch De Stijl architect Gerrit Rietveld, the Japanese Pritzker winner Shigeru Ban, and American architect Frank Lloyd Wright. The SU+RE (sustainable + resilient) HOUSE placed first out of the 14 teams that competed in the 2015 U.S. Solar Decathlon. This was the third time Stevens Institute of Technology had participated in the national event, but it was their first overall championship. The school in Hoboken, New Jersey has a view of Lower Manhattan and a 2012 memory of Hurricane Sandy. The students here are sensitive to both emergency and climate events, which they know can be the same event. Their goal with the SURE House was to create a new self-sustaining beachfront prototype, a "high-performance, solar-powered house that is armored against extreme weather" but that is "packaged as a comfortable, beautiful shore house." Their design was well-suited for the event's locality held at Orange County Great Park in Irvine, California. The SURE house was able to function off the electric grid with an array of passive and active solar collectors. Their website surehouse.org/ honors the process and people behind the winning entry. LISI is an acronym for Living Inspired by Sustainable Innovation and is the name of the solar home designed by students from Vienna University of Technology in Austria for the 2013 U.S. Department of Energy Solar Decathlon. The competition was held in Irvine, California, and LISI finished first out of 19 entrants. On the team's website, solardecathlon.at/house/, LISI is described as "A House for You Wherever You Are." Features included changeable architectural elements that open and close; two patios for aesthetic balance; passive solar design combined with an automated screen system; a solar roof that harvested surplus energy; and storage integrated into the walls. The design placed fourth in the Architecture contest, but it was the overall first place finish that made the team proudly proclaim to be the "world champions" of the "best solar house in the world." The University of Maryland's entry called Watershed won first place overall in the 2011 U.S. Solar Decathlon held on the National Mall's West Potomac Park in Washington, D.C. Team Maryland seems to think their inspiration was the Chesapeake Bay ecosystem, but the butterfly roof collecting rainwater is reminiscent of the 1984 Magney House designed by Glenn Murcutt. Features of the winning entry include a vertical garden, a home automation system, a Liquid Desiccant Waterfall (LDW) to remove humidity from the air, architectural "sheds" that separate public and private interior spaces, and a "heavy stick" system of framing (triple-2x6 inch stud packs, 4 foot on center), which they call "a hybrid of conventional stick framing and heavy timber framing." The LDW had been used in 2007 as a feature of a previous University of Maryland entry, the LEAF house. Removing moisture from the air by using lithium chloride instead of a typical air conditioner saves energy, but that's not all. The device becomes part of the exposed architecture when incorporated as a waterfall. The solar home built by students from Technische Universität Darmstadt in Germany won first place overall in the 2009 U.S. Solar Decathlon. In a field of 20 schools, team Germany scored very high points for energy efficiency. The solar home designed by German team was a two-story cube covered with solar cells. The entire house became a power generator with 40 single-crystal silicon panels on the roof and with siding made from thin-film solar cells fitted onto aluminum strips. The photovoltaic (PV) system generated and stored about 200% more energy than the house actually used. For this engineering, the team earned the maximum number of points in the Net Metering contest. Other energy-saving features included vacuum insulation panels and special materials in the drywall to help the house maintain comfortable temperatures. At the windows, automated louvers helped control the amount of solar heat entering the house. 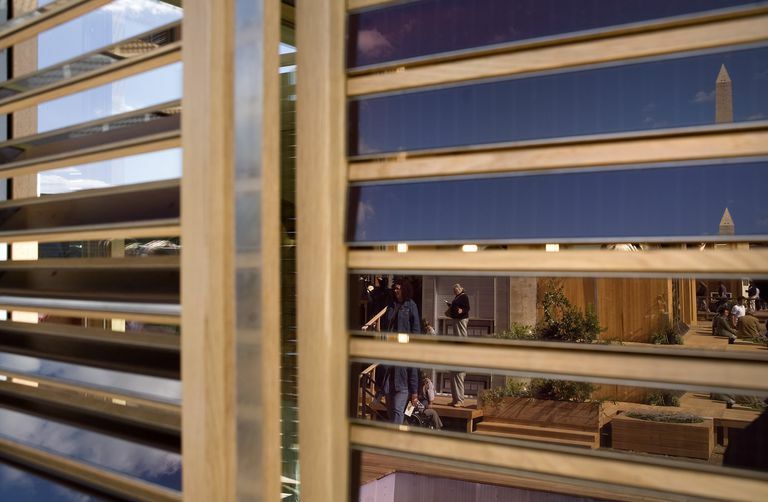 The German team had previously won first place in the 2007 Solar Decathlon for designing an ultra-efficient louver-sided house. To maximize space and flexibility, this solar powered home was arranged in living zones instead of rooms. Students from Technische Universitat Darmstadt designed the overall winning solar home for the 2007 Solar Decathlon in Washington, D.C. The school placed first in the Architecture, Lighting, Energy Balance, and Engineering contests. Natural wood and glass made the house "Made in Germany" visually stunning. The oak louvered shutters were covered in photovoltaic panels, combining passive and active solar ideas. Inside, the German students experimented with a special wallboard containing paraffin. During the day, the paraffin (wax) absorbed heat and softened. At night, the wax hardened, releasing the heat. Called phase-change drywall, the wall system was more successful by the 2009 German team, who also became overall Decathlon winners. Phase-change drywall has become a Do-It-Yourself material, as its efficiency is highly dependent on the local climate in which it is installed. The U.S. Solar Decathlon gives the typical homeowner a chance to examine these experimental ideas not readily found in Lowe's or Home Depot stores. In 2005, the U.S. Solar Decathlon was only two years old, having switched to an odd-year event, but it was again held on the National Mall in Washington, D. C. in early October. The first place overall winner did not have the biggest photovoltaic array, but they outperformed in energy storage. The solar house with its movable roof built by the University of Colorado, Denver and Boulder was the overall winner. The Mission Statement of the BioS(h)IP design declared the team's intention "to integrate natural materials and innovative technologies in an environmentally conscious, publicly accessible, modular, solar home design." 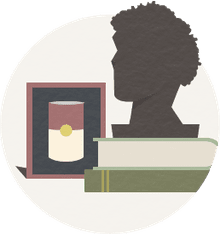 The construction materials and furnishings were organic, including "soy, corn, coconut, wheat, canola oil, citrus oils, sugar and even chocolate." The walls combined two components, described as being put together "like a giant ice cream sandwich." A soybean oil foam insulation called BioBase 501 by BioBased Systems was placed between two panels of Sonoboard — a strong, lightweight board made of recycled materials by Sonoco Company. These two off-the-shelf materials created a new wallboard for the 2005 Decathlon. The team's win led to the 2008 founding of a Colorado company, BioSIPs, Inc., who continues to manufacture the structural insulated panels (SIPs) invented for the 2005 Solar Decathlon. Today the BioS(h)IP is a private residence in Provo, Utah. The overall winner of the very first U.S. Solar Decathlon was called BASE+ (Building a Sustainable Environment) designed by the University of Colorado at Boulder. The successful experiment proved that a solar house could be built from Home Depot materials, and that the aesthetics were more important than optimal efficiency. For example, the solar panels on the roof were tilted not to an optimal angle, but to a more aesthetic compromise. The floor plan of the 2002 overall winner graphically demonstrates the splay or wing design. The public living space is clearly separated from the private bedroom area, even in 660 square feet. Today the house is a 2,700-ft2 private residence in Golden, Colorado — expanded, but with most all of the technology in tact. The original 10 category competitions were Design and Livability; Design Presentation and Simulation; Graphics and Communication; The Comfort Zone (interior HVAC); Refrigeration (maintaining temperature with minimum energy); Hot Water (for typical activities such as bathing, laundry, and dish washing); Energy Balance (using only the sun’s energy); Lighting; Home Business (power enough for needs); and Getting Around (power for an electric vehicle). Each team’s home included a kitchen, living room, bedroom, bathroom, and home office, with a minimum of 450 square feet (41.8 square meters) of conditioned space within a maximum building footprint of 800 square feet (74.3 square meters). Though they shared these common requirements, the architecture exhibited in the first-ever Solar Decathlon varied widely, from traditional to modern contemporary. "The students and faculty who participated in the 2002 Solar Decathlon made history," claimed the authors of the The Event in Review. "The Solar Decathlon not only proved an important research endeavor in energy efficiency and solar energy technologies for future architects, engineers,and other professionals, it also served as a living demonstration laboratory for thousands of consumers. The event had an immediate impact on consumers by educating them about the solar energy and energy-efficient products that can improve our lives. It may also drive their future energy and housing decisions." For these reasons, the government-sponsored event has continued and become more successful over the years. The U.S. Solar Decathlon not only has become more high-profile, but the event is also more and more important to the ever-growing eco-conscious citizens of the world who are trying to save this planet's humanity.